I was inspired to make this super-delicious and healthy set of waffles by a fellow blogger, Frugal (Frugal Hausfrau). By the way, her blog is fantastic. You should check it out. She made these awesome looking Scottish oatcake. Thus, I replicated her cakes. I didn’t have all the ingredients she actually added; as such I made the dish my own by doing waffles instead. One of the important tips in making the batter is to soak the oatmeal overnight; which I did. I used the old-fashioned type and added whole milk. The oatmeal absorbed the milk and became more manageable. 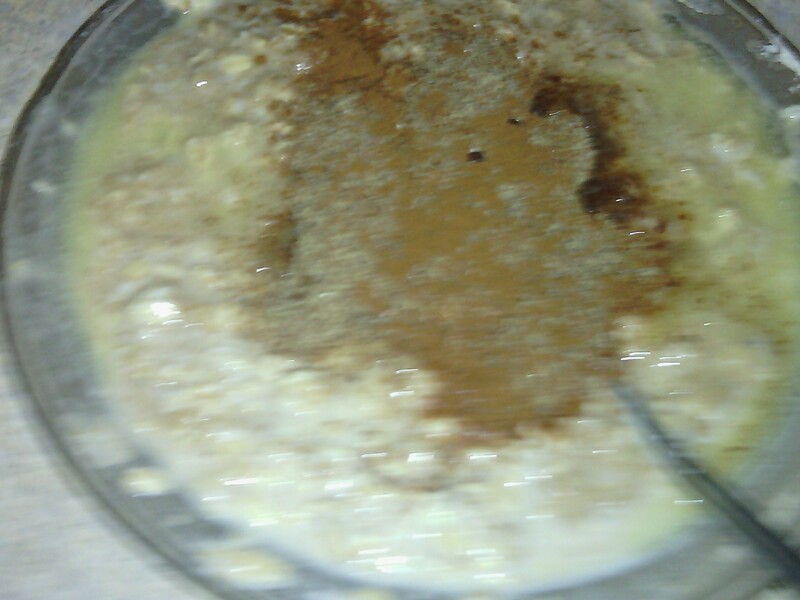 In the morning, I added vanilla, beaten egg (at room temperature), sour cream, half of a mashed ripe banana, sugar, and melted butter to soaked oatmeal. Dried ingredients in the form of whole wheat flour, a little all-purpose flour, cinnamon, and a pinch of salt were added to wet ingredients. Powered flax seeds and additional cinnamon were added and folded in batter. When all the ingredients were combined, batter was placed on hot and oiled waffle iron using a 1/3 cup measuring cup. Waffles were topped with strawberries simmered for a few minutes with a sprinkle of sugar. Also a serving of orange wedges a fresh strawberry completed the dish. Thanks to Frugal the waffles were a hit. Thank you Annie. Have a wonderful day. A.B. Mood, thanks for dropping by and liking.